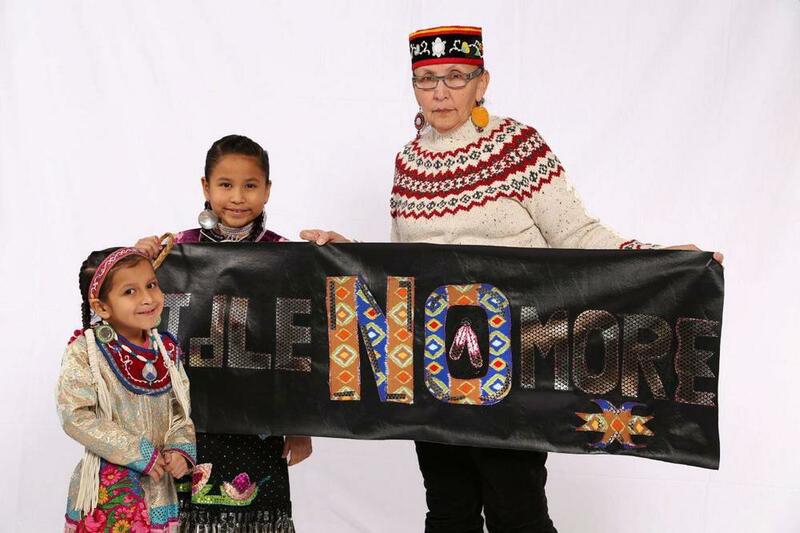 Mary Lyons, came to In Progress in 2012 with the Idle No More Movement. She is a parent, grandparent and strong community advocate. She has come to In Progress just a few times, but each time she has brought great positivity and a warm family energy to our work. 1. Considering all your experience with In Progress, what is one achievement that you personally are most proud of? Why is this achievement important to you? What does it represent? : Met In-progress through the cities and knew of their work at bug school. Liked how they show the kids the ways to build bridges like saying "wow" I can do this. That showed the kids possibilities. I meet them through doing the family picture and cancer awareness work. They were so accommodating. All the kids were nice and had good mannerism and good protocols in place. We came to take pictures in our regalia and they asked a lot of good questions, so it was a good exchange. 2. What did it take for us at In Progress to achieve this accomplishment? What strengths do we have that helped us succeed? : The kids were really good hosts. The families were curious. And everyone there pitched in to do what ever they had to do. It was just so special to see. I also attended a training at UMAIC for a short time and there we meet and talked and was invited to attend. Ron spoke so highly of Kris and her staff, that I wanted to take time to get to know them too. I know bug school lovers her. Relatives of hers send pictures out from there. The collective work is wonderful. Its a freeway to other creative things-brings out artistic flair. 3. What do you think makes In Progress unique? What 2-3 things are at our very core that make us stand out from other arts programs or youth development programs? : The fact that in-progress opens doors. they take in everyone and anybody. The fact that kris sends out info, contacts, and every now and then you get a question. no question is a dumb question. Interviews go both ways. Always info on other stuff, scholarships and stuff to encourage. They encourage education and are helpful in encouraging. 4. As you think about In Progress, what do you value most? What keeps you engaged here? : I am engaged by the info I get and encouragement I see being given to all that participate.